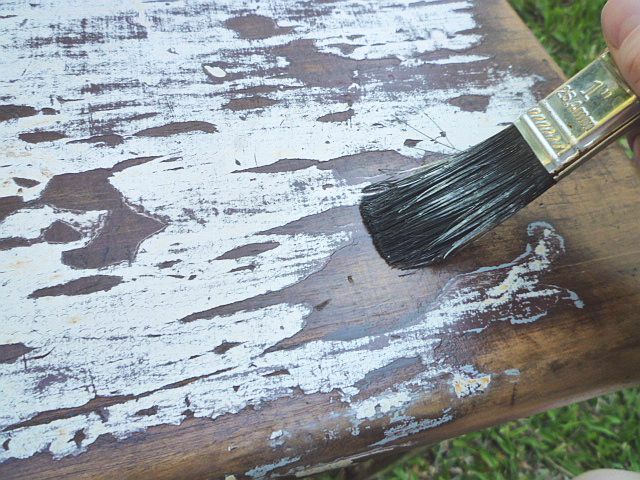 There are lots of ways to create the shabby look. These are ideal projects for the beginner, as mistakes are fairly easy to hide and imperfections are part of the look. 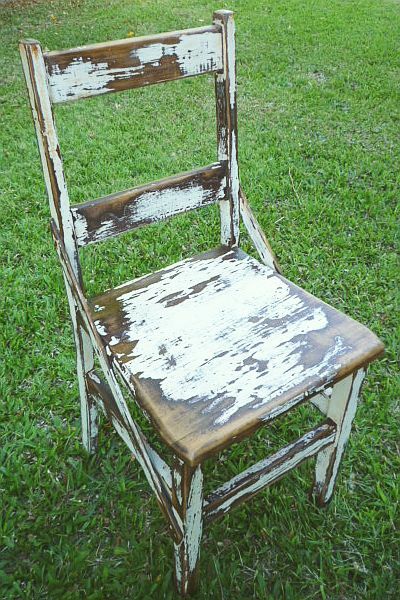 This is one of the furniture projects I've been working on this past week, and is typical of the kind of shabby look that my projects end up with. What you have to work with and the look you're aiming for can make a vast difference to the final outcome. We're not talking 'take any new-ish piece paint it white and sand off the corners' here. Nuh-uh! 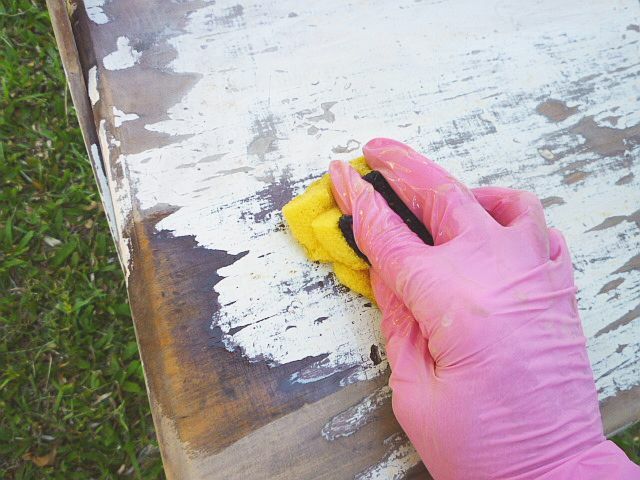 I want some seriously old crusty stuff that I can really get my teeth (or sander) into and give it an industrial upcycled look, rather than a slave-to-the-trend-of-everything-white look. 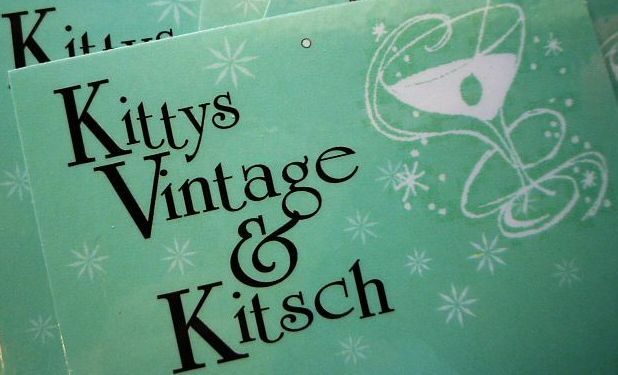 I want anything in our shop to look like it's come from a 1940s garden shed, not a Rachel Ashwell book! 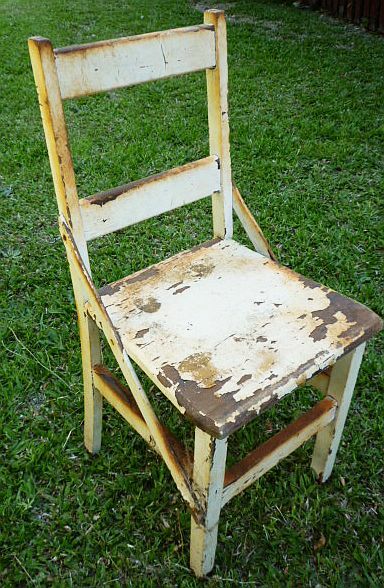 This 1930s or 40s kitchen chair is ideal for a shabby project; not too big, not too difficult, and not a problem if I were to muck it all up as it won't be an expensive item. First, go hard with a coarse sand. Always sand along the grain of the wood and don't bash the edges, you'll fix them later so don't worry if you can't get in to every corner. I didn't bother with any cleaning first as it will be done later. Better already, and thanks to the badly peeling paint, it didn't take long. 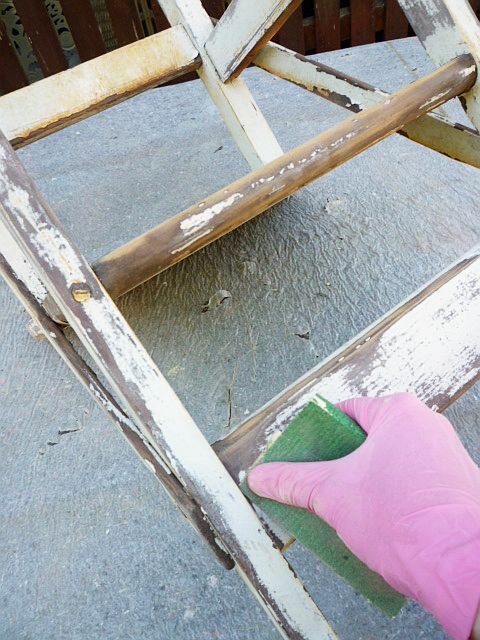 Take a screwdriver and clean out all the crusty stuff along the grooves. This chair had been under an old house for years so it was pretty bad. Next, sand along the joins and edges by hand. Boring, but vital! Sanding again, this time with a fine grade paper. 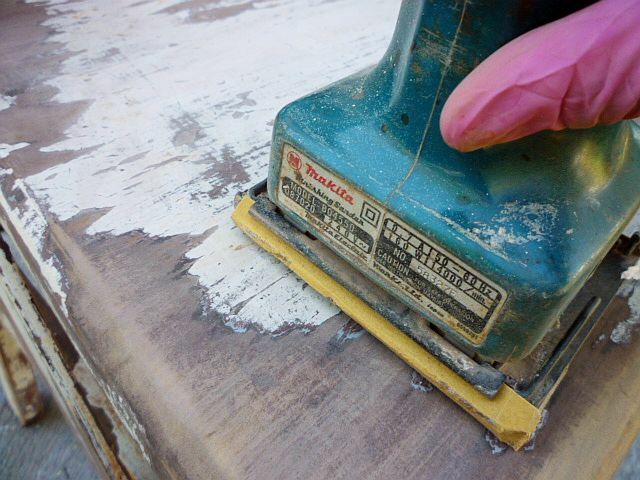 You might notice my finishing sander here...no, I'm not pedantic, this is a lightweight sander which is great if you're a small girly like me as it's much easier to handle than a full-size model, so I use it for nearly everything. 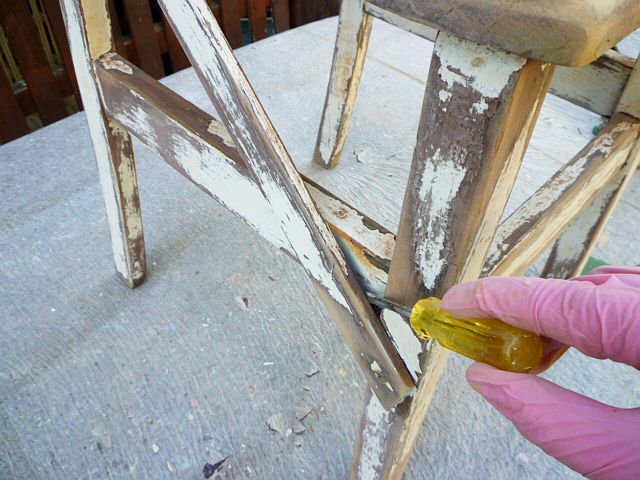 Once the sanding is all done, wipe the chair over with a damp cloth. You may also need to brush dust away with an old hairbrush or similar if there are any little grooves for it to get stuck in. 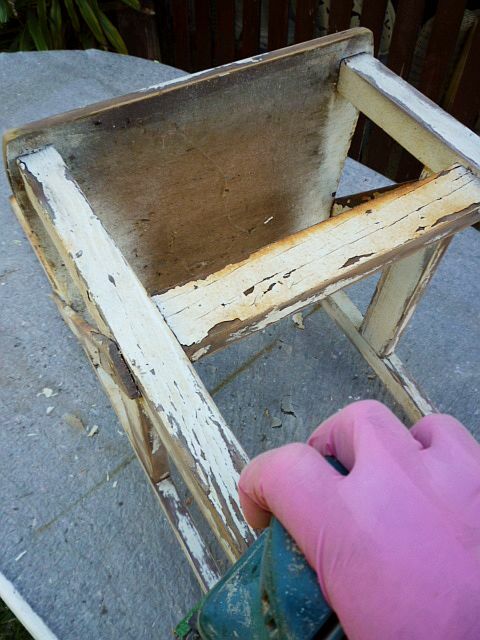 Once the chair is completely dry, I run my bare hand all over to make sure I haven't missed any rough bits. Give a coat or two of estapol, paying particular attention to the edges, joins and grooves. This gives a nice smooth finish, seals the timber and lifts the colour. It is not fast, but ok. You could puut your Java Script at the bottom , and see if it gets faster. Wow, looks great, thanks a bunch for the tutorial! Looks wonderful....I have a few that need a little help!! Cute! When we moved out we were given a table and chairs that had been on our friends verandah so were all worn out. 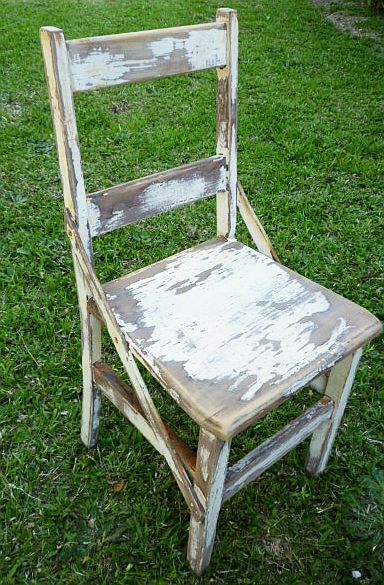 We sanded them and restained them and recovered the chairs and now they are like new. I am getting a little bored with them now after two years so I am trying to convince Corey to let me recover the chairs and paint the table. I am thinking pink or yellow! Not generally the shabby fan but that really looks cool! Now that looks shabbylicous amor! I'll take four! Looks fab - great tutorial. That chair looks awesome. Thanks for the tips. 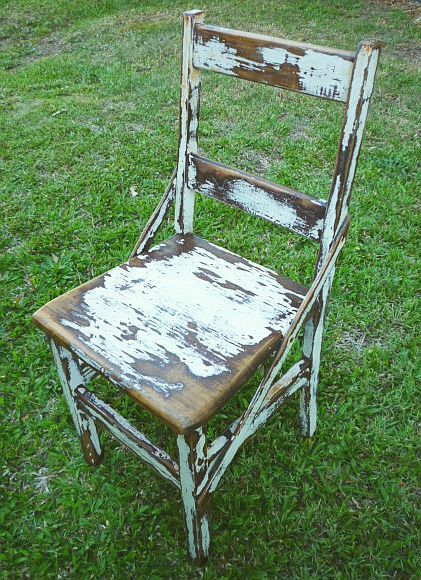 I love patina'd old furniture but dislike the 'shabby chic'd' version, and you've just showed me how to keep it real and make it look great.